Our Mandarine E-liquid from Logic Smoke is a wonderfully light flavor that tastes just like the oranges its named for. It has a nice, sweet flavor with a bit of a tang on the exhale. It is loved by many. 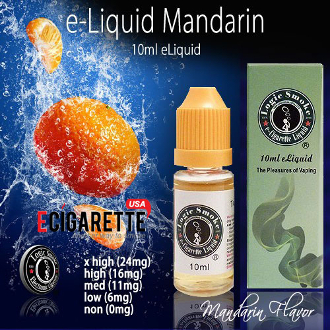 Pick up a bottle of Mandarin E-liquid from Logic Smoke today and become another fan.